The Windows Experience Index (WEI) score was first introduced with Windows Vista and it was an inbuilt benchmarking tool built inside Windows OS to provide a score of your hardware combination and how well they work. Unlike Windows 7 and 8.1, on Windows 10 the performance index is no longer visible directly to the user. 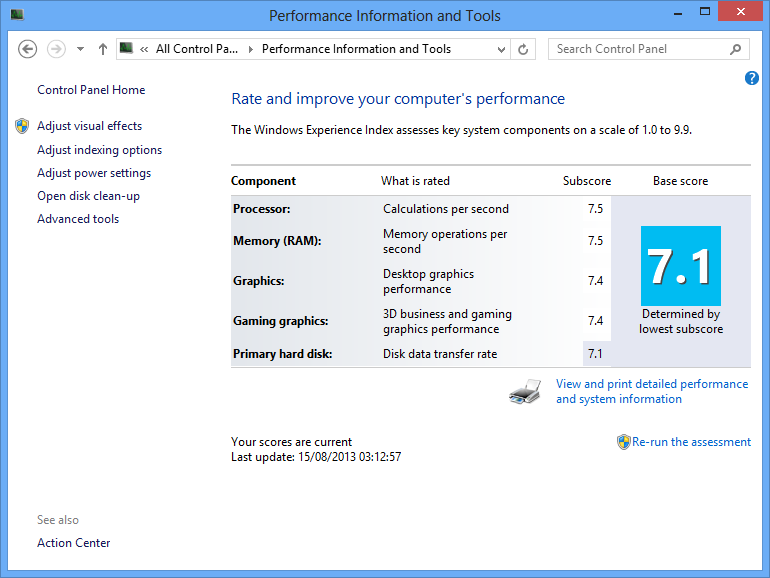 On Windows 7 and 8.1 you have a " Information and performance tools " section in the Control Panel, which allows you to see the performance index of your PC. 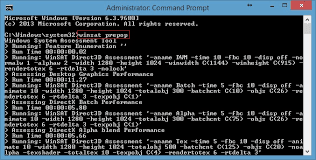 What is the Windows performance index? The Windows performance index measures the capacity of your computer's hardware and software configuration, and expresses it by a number called the base index . A high index usually indicates that your computer will perform better and be faster, especially when running advanced tasks that require a lot of resources, than a computer with a lower base index. Each hardware component receives an individual sub-index . The base index of your computer is determined by the lowest sub-index. For example, if the lowest subindex of a hardware component is 2.6, then the base index is 2.6. The base index does not correspond to the average of the combined sub-indices. However, sub-indices can tell you the degree of performance of the components to which you attach the most importance and help you choose which components to upgrade. Right-click the Start menu icon >> Command Prompt as Administrator. When you do this, close the command prompt and open PowerShell . 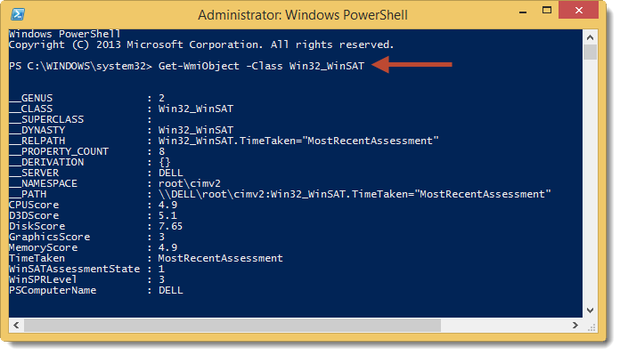 This small program can display the performance index of the computer that is no longer readily available in Windows 8 and 10. It displays the overall index and sub-indices. It allows the evaluation to be re-launched. It is inspired by the function of Windows 7 for display.